Brand new!! Just listed in time for Spring Training! Visitors with a sense of style will appreciate this modern luxury contemporary condo in Old Town Scottsdale. 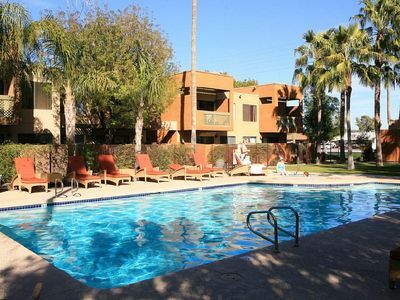 Conveniently located just minutes from Tempe, downtown Phoenix, Sky Harbor International Airport and ASU, this condo offers all the comforts of home and then some. It’s near golf, shopping, great restaurants and fine dining, hiking, biking, and more. You will enjoy the pool in this quiet, complex. 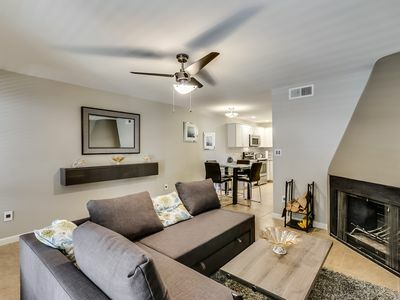 Single-level, ground-floor 2 bedroom, 1.5 bath townhome has both a Queen bed, two twin beds and a pull out sleeper sofa making it ideal as an executive apartment, guys' or girls’ getaway, or romantic retreat. I also have another condo in the same complex, which is great for large families or a group of friends needing a bit more space with added privacy. Beautifully furnished, the living room and dining area/breakfast bar have ` seating, a wood burning fireplace, and a large, flat-screen TV with high tech features such as Apple TV, FREE HULU, Netflix, and Google ChromeCast. The bedrooms feature onemporary linens,pillows, alarm clock, and Apple TV in master bedroom. The gourmet kitchen is a chef’s dream with stainless ceramic range, dishwasher, disposal, microwave and convection oven, plus plenty of nice glassware, dinnerware, flatware, serving pieces, pots, pans, baking and plenty of storage in beautiful, white custom cabinets. Visitors find this special kitchen ideal for entertaining especially with the granite countertops and open concept floorplan. Bathrooms are luxurious with brand new walk in showers and granite. Everything at your fingertips! Free Wifi, Apple TV with gaming, Google ChromeCast, HULU, Netflix provide the latest in entertainment. 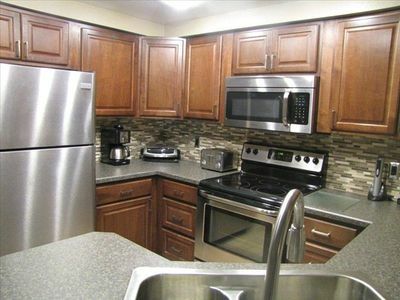 In unit laundry and proximity to entertainment, dining, and nightlife within minutes! 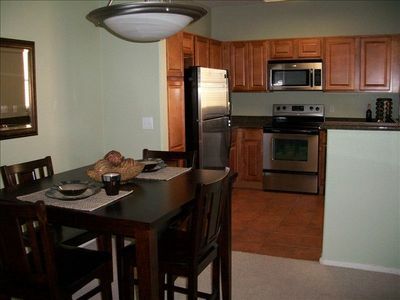 Note: There are two condos of identical size and layout--you can rent one or both for a total of 4 bedrooms and 4 baths! Contact manager to check availability for both at the same time. 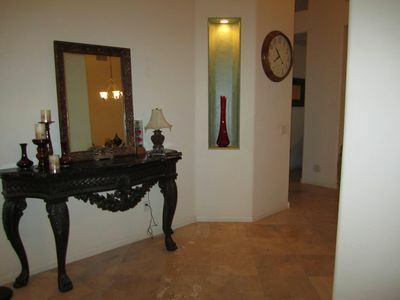 These condos offers a tranquil setting perfect for relaxation and close to everything one could desire. 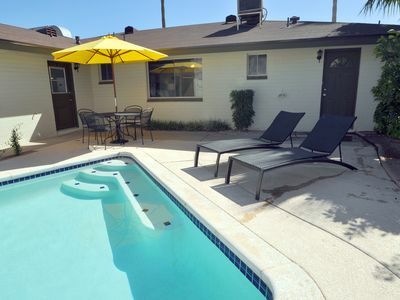 The beautiful community pool is a wonderful spot to enjoy on your own or for entertaining. Old town Scottsdale and Scottsdale Fashion Square’s easy access makes this getaway a shopper’s paradise. 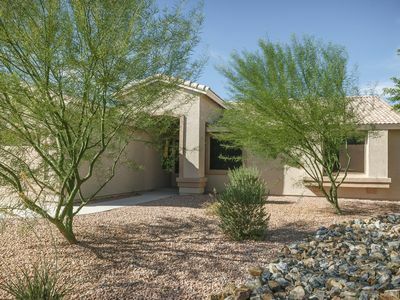 The prime location means that everything is nearby: Old Town Scottsdale, movies, live music, wine bars, Chase Field, Phoenix Art Museum, Desert Botanical Garden and much more. Don't feel like driving? EVEN BETTER- The Scottsdale Trolley will pick you up in front of the complex! 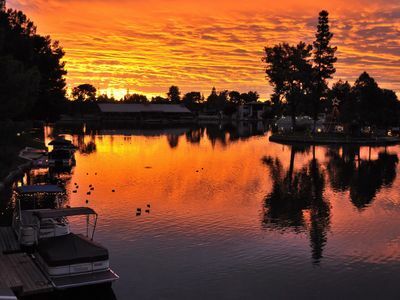 Staying here is a real getaway while attending the Barrett-Jackson Car Show, The TPC Phoenix Open, the Arabian Horse Show, Russ-Steele Car Show and other seasonal events. 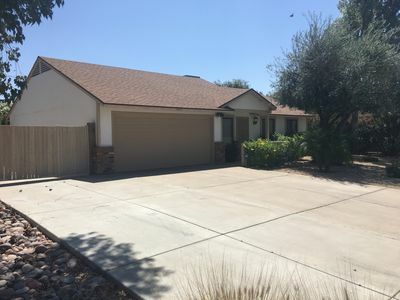 For those spending a winter in the area, this lock-and-leave condo is a good place to use as a base for visiting Las Vegas, the Grand Canyon, Tucson, Sedona/Oak Creek Canyon, Flagstaff and Prescott. Nearby freeways I-40, I-10, Loop 101, Loop 22and SR 51 take you anywhere in no time! An added plus for those renting this property is the optional use of a concierge service, and optional weekly housekeeping. We love your furry friends but the complex recently banned animals so we will not be able to allow them. Please check my profile for more condo listings that allow pets! Come and enjoy. Stay for a month or a season. You just may return next year. Gateway To Phoenix Attractions. 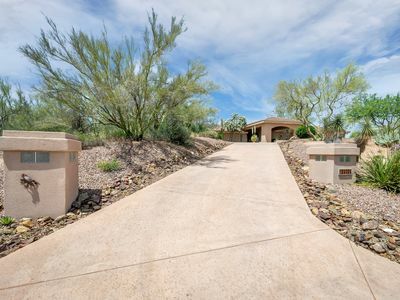 8 Minutes To Old Town Scottsdale.